Caroline’s modelling career started when she was just sixteen. Her mother entered her into the Face Of The Year competition being held by the photographer David Bailey and the British newspaper The Evening News, and she won. This led to many modelling contracts, her first being for Vogue Magazine at the age of 17. Caroline then moved to London to pursue her career and became a regular cover girl for fashion and TV adverts before moving towards acting. Her film career began with uncredited roles in Smoke Over London, G.G. Passion and Casino Royale. Shortly after these one of her photo ads got Caroline a screen test and a one year contract at Paramount where she won the role of Richard Widmark’s daughter, Ms Patten, in the comedy western A Talent For Loving. Later she played Victoria Phibes, Vincent Price’s wife in The Abominable Dr. Phibes and again in Dr. Phibes Rises Again which in turn led to a Hammer Studios contract and such spine-tinglers as Dracula A.D 1972 and Kronos. 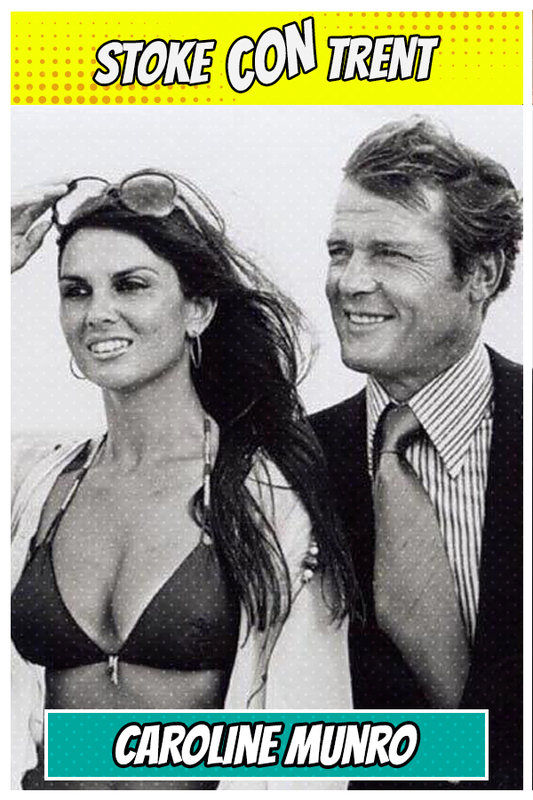 Away from Hammer, Caroline enjoyed new challenges such as the slave girl love interest, Margiana, in The Golden Voyages Of Sinbad, Princess Dia in The Earths Core and Bond girl Naomi in the Roger Moore classic The Spy Who Loved Me. After her first Vogue feature she was chosen to head the advertising campaigns for several products, She is remembered most as the calender girl for Lambs Navy Rum, which she did for over 10 years.